Fake news stories on the presidential election outperformed real news on Facebook according to a story recently published by online news site BuzzFeed and mainstream media, including CBS News, jumped all over it. Even President Obama chimed in, saying that fake news “threatens democracy;” apparently saying “you can keep your doctor if you want” doesn’t count as ‘fake news.’ The Washington Examiner now reports that BuzzFeed’s methodology is “a mess” but we all know there’s a lot of fake news out there, and it’s not just on Facebook. Then there’s the pants-on-fire type of fake news used to justify some editorial positions, as exemplified by Steve Rose at the Kansas City Star. 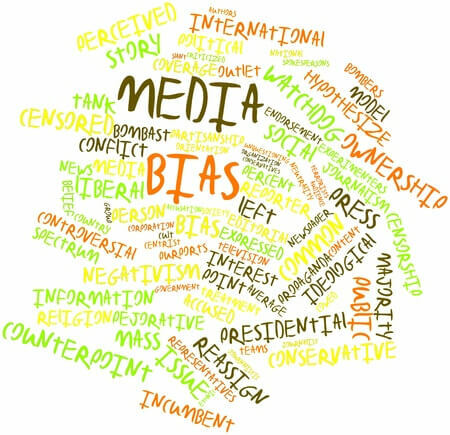 Media also fakes the news by declining to report facts that refute the narrative touted by special interests’ or their own editorial positions. The Kansas Association of School Boards, for example, contends that student achievement is in the top ten in the nation, but media ignored a January press release from Education Week, whose annual Quality Counts report gave Kansas a “D” for student achievement. Media wrote about the controversy over highway funding being cut but they ignored proof that spending on highways projects over the last two years was the highest in recent history (and possibly set new records). They repeated Kansas Contractors Association executive vice president Bob Totten’s claim that raids on the highway fund were having a big impact on the loss of construction jobs, but had they bothered to check the data, they would know that less than 2 percent of the decline was attributable to highway construction. Amidst all the concern over school funding, media saw fit to ignore proof that funding could have set another new record last year if districts hadn’t used $58 million to increase their operating cash reserves to a record level of $911 million. And while some people say past records were only set because of KPERS retirement funding, media doesn’t report that another record was set last year for non-KPERS funding at $12,458 per-student. Without any data to back their claims, opponents of Kansas’ tax reform maintain that owners of so-called pass-through entities (businesses not organized as regular C-Corporations) haven’t created jobs since their pass-through income was exempt from state income tax beginning in 2013. But U.S. Census data from their County Business Patterns (CBP) database not only shows they created 36,135 jobs, pass-through entities actually created most of the job gains in 2013 and 2014. Fewer than 13,000 of the pass-through jobs were from companies that converted from C-corporations but the Census data from the Bureau of Labor Statistics doesn’t count proprietors, and the Bureau of Economic Analysis shows 15,134 new proprietors, so the net job gain is even greater. It may not fit the narrative but pass-through employers are powering the job engine in Kansas and only WIBW Radio (to our knowledge) has shared that news with citizens. And finally, media often quotes tax-and-spend proponent Duane Goossen as being with the Kansas Center for Economic Growth despite proof that KCEG is falsifying its identity and doesn’t legally exist; media holds Goossen forth as an expert while also refusing to disclose that he was cited for securities fraud by the Securities & Exchange Commission when he was Kansas state budget director. Were such actions to be committed by those dedicated to limited government and personal freedom, they would likely be splashed across the front pages and repeated at every opportunity. We’ve had enough and I’m delighted to tell you about a new online news service we’re helping to launch. It’s called The Sentinel and its primary purpose is to hold media and government accountable. Our Dream Team of investigative journalists will post several stories each day… exposing false claims, missing facts and all types of bias in Kansas and Missouri. You can meet the Dream Team and learn about our desire to expand it in this video.